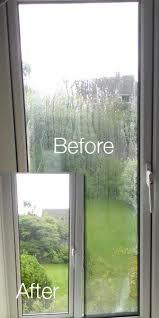 At Mister Window we can replace your Misted, broken down or smashed Double Glazed Window units with our repair service. We also carry out door and window lock repairs and what’s more it may not be as expensive as changing the whole door. We have been a leader in this industry for over 20 years. When double glazed windows fail the glass can develop a misted or foggy appearance because of condensation also known as ‘blown unit’. 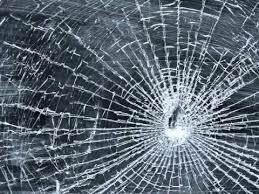 But this doesn’t mean you need to replace the whole window, at Mister Window we can help you see clearly again through your window with new glass. The reason why the window has misted is because the seal around the glazing has perished drawing excess moisture from the atmosphere getting inside the two frames. Once inside the double glazed unit changes in temperature can cause this excess moisture to condense causing the misted appearance. At Mister Window we can replace the glass on any double glazed window in your home, no matter what company fitted the window and we always agree a fixed cost in advance. Replacing the misted window is a straightforward job for our trained service team at Mister Window. We simply take the old misted glass unit out and recycle the old unit, replace it with our new glass which will be of a superior quality as a result of improved glass energy efficiency and manufacturing technology making your old windows as good as new. You can even upgrade to an A rated glass unit will make your home much warmer and lower your fuel bills the same time thus saving you money as well ! When you make an appointment with us on 01792 812464 there is no call out charge and the estimate is free!